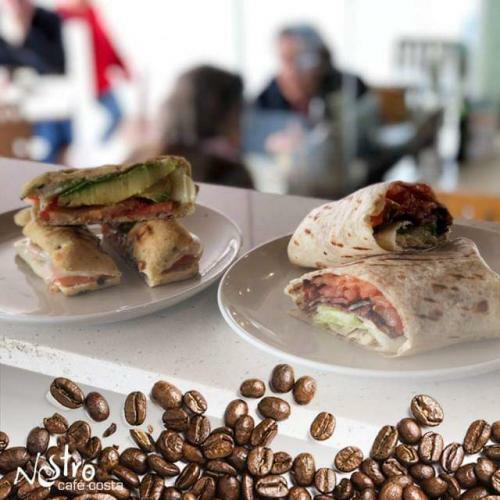 Nostro Café Costa is the place in Javea you cannot miss for your morning coffee, because it has a special café design, creating an unforgettable atmosphere. 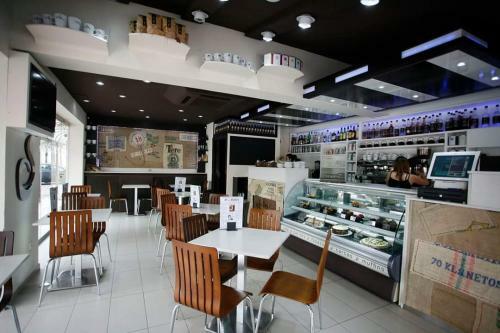 You can find all kinds of coffees, milkshakes, Italian sandwiches, pastries and cakes to eat in or take away. The coffee beans that they source for their roasting process come from some of the finest coffee bean farmers from around the world. 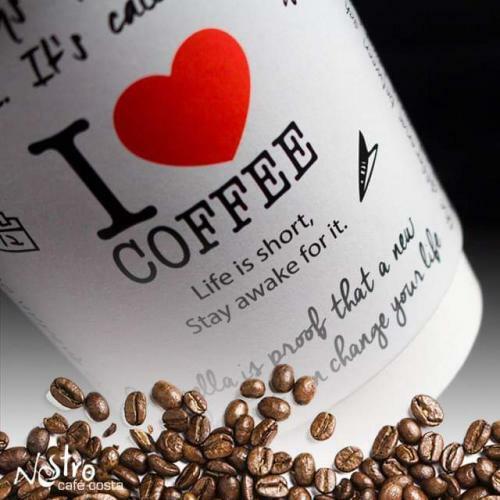 Without fantastic beans they wouldn't be able to produce their top quality roasted organic coffee. 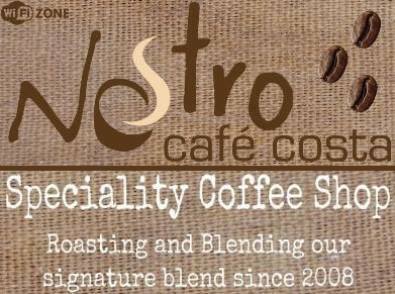 An irresistible blend of slow roast Arabica coffee beans with a wonderful, rich flavour with a sweet spot of boldness and complexity, the Nostro blend is a closely guarded secret! There is a variety of non-dairy milk options including lactose free, soy, oat, coconut and almond milk. For something a little different try one of their delicious milkshakes or fruit coolers. Coming soon New upcoming menu which will include Açaí Bowl - Charcoal Latte - Fresh Vegan sandwiches and much more. Coffee break special - cake and coffee after 3pm for only 3 euros. Matcha Martes - Tuesday treat - 10% off all Matcha goodies including tea, frappe, latte and apple and Matcha cake. 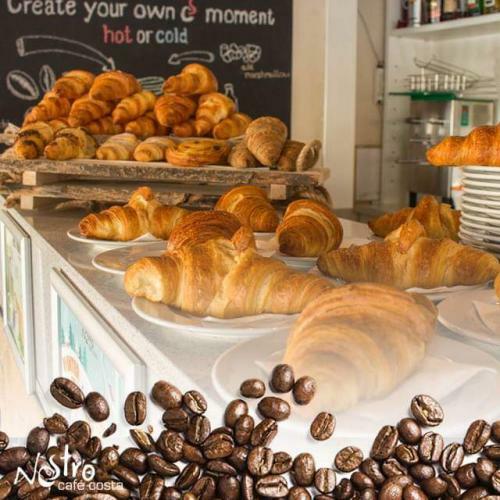 Breakfast special - Croissant with coffee or tea 2.50 euros. Become a frequent visitor and claim a free tea or coffee, ask for your loyalty card on your next visit. Filled doughnuts - raspberry, fruits of the forest, chocolate and hazelnut or custard cream. Wraps: Montana - chicken, crispy serrano ham, lettuce, tomato, cheese and mayonnaise. Avocado with tomato and mozzarella. Natalie Stock, Jan 2019 - Love this little cafe. Great coffee and snacks. Super friendly staff and great prices. My go to place in Javea now. Natalia Beatriz Latourrette Galleano, Dec 2018 - Buenísima atención, muy buenos los cafés. Carly Jennings, Oct 2018 - Our favourite coffee spot when coming on holiday. Friendly staff and amazing muffins.